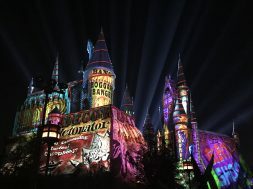 Over the weekend, The Wizarding World of Harry Potter experienced its first “soft opening,” also known as a “technical rehearsal.” We’ve compiled a guide on how to make the most of soft openings if you’ve scheduled your vacation before The Wizarding World’s official grand opening on April 7th, 2016. Additionally, we’ve created our Wizarding World of Harry Potter guide in the CI Universal Center. This definitive source offers dedicated pages to Hogsmeade’s attractions, shops and restaurants. For up-to-the-minute soft opening updates, follow us on Facebook and Twitter and keep an eye on the hashtags #WizardingWorldHollywood and #PotterWatch. The first thing to note is that the terms are interchangeable. 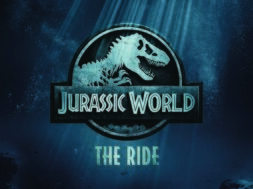 Universal will typically use the phrase “technical rehearsal,” while park fans and insiders often use “soft opening.” Again, they mean the same thing. They are not guaranteed and can end at any time. This means that Hogsmeade could experience a soft opening and allow guests to enter stores and restaurants, but not open the Forbidden Journey ride or Flight of the Hippogriff coaster. The reverse could also be true: rides may operate, but shopping and dining might be unavailable. So far, the entire area has been operating during soft openings. However, you don’t really know until you show up, which is why we caution vacationers to lower their expectations. Think of them as a bonus to your day: don’t expect them, but if it happens, great! Soft openings have started, so they’ll continue daily until the grand opening, right? No! As we’ve mentioned, soft openings are in no way guaranteed and can end at any time. 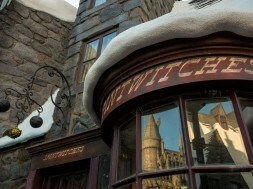 Though Hogsmeade opened Friday, Saturday, and Sunday, it did not open on Monday, February 15th. It’s unclear if The Wizarding World will only open on more crowded weekends (better simulating a peak crowd), or if they’re still making adjustments in preparation for a more consistent technical rehearsal operation. Either way, never assume Hogsmeade will be open. Additionally, soft openings won’t necessarily occur throughout an entire operating day. Hogsmeade could open at 2 PM and abruptly close at 3 PM; it’s Universal’s call, and guests must comply if they decide to end the rehearsal. Remember, Universal is under no obligation to open the Wizarding World until April 7th, so treat every minute inside the land as an “extra,” not an entitlement. So far, The Wizarding World has not opened with the rest of the park, waiting until mid-morning or mid-afternoon to allow guests entry. If it seems like the Wizarding World “might” soft open that day, should I hang out by the entrance? 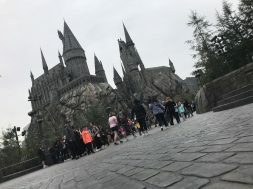 If the Wizarding World of Harry Potter is not open when you arrive, we strongly recommend you experience the rest of the park’s attractions using one of our touring plans. 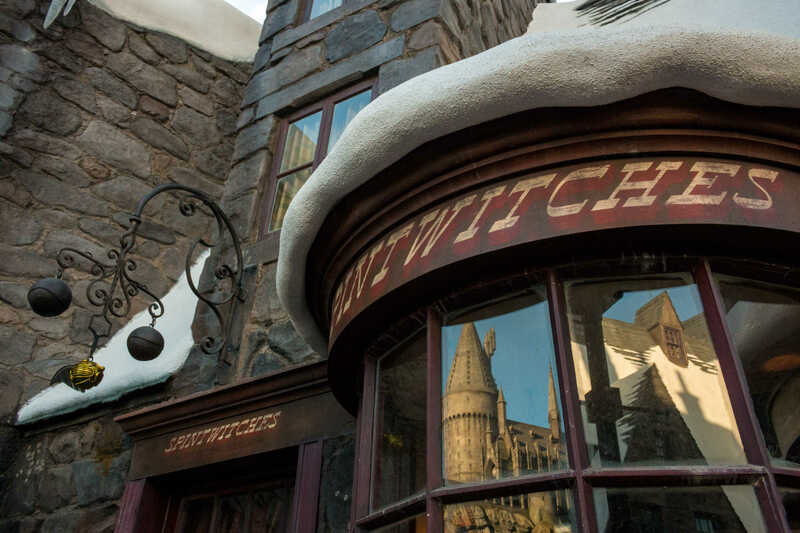 Soft openings are always unannounced, and team members stationed at Hogsmeade’s entrance will not have reliable information on whether or not the area will open that day. Not everyone gets a chance to visit Universal Studios Hollywood, and we’d hate for you to waste most of your day waiting should they decide not to open. 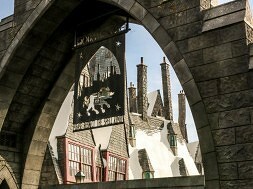 We expect Universal will soon add Wizarding World attractions to its in-park wait time signs and online wait time website; once they do, they can function as more immediate resources on whether or not Hogsmeade is currently available. 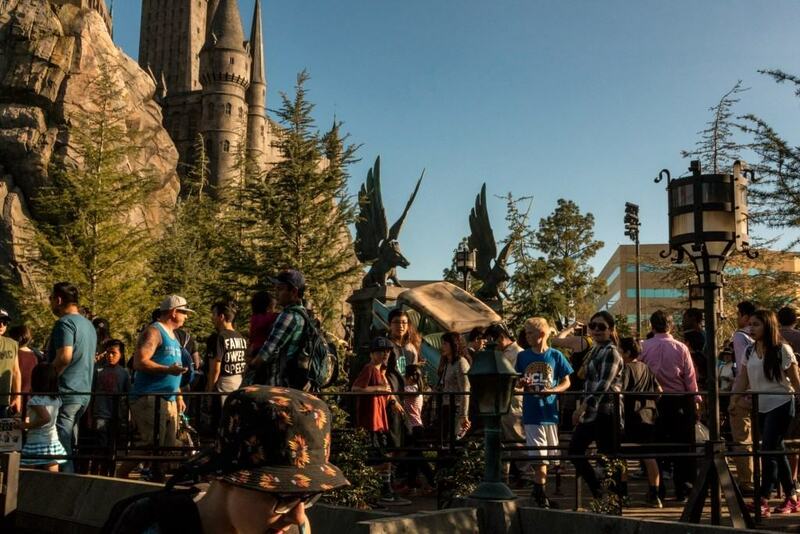 In the meantime, keep an eye on our Twitter and the #PotterWatch hashtag while you’re in the park. You’ll also pass the Hogsmeade entrance organically as you traverse the park, so keep an eye out for red-shirted employees ushering guests inside. Finally, don’t expect a soft opening if construction walls or hedges block the Wizarding World’s entrance. Their presence doesn’t completely negate the possibility of a soft opening that day, but it confirms it won’t be imminent and you should enjoy other park offerings. A team member in front of Hogsmeade told me the area isn’t opening today. Is that true? Red-shirted team members can not and will not provide reliable information on the soft opening status of the Wizarding World. They are usually instructed to shoo away prying guests and reiterate that the land is not open until April 7th. This does not necessarily discount Hogsmeade opening that day, as a soft opening decision can happen at any time. I’ve purchased a Gate A ticket or the VIP Experience. Do they include The Wizarding World of Harry Potter if a soft opening is occuring? For the most part, yes! Harry Potter and the Forbidden Journey as well as Flight of the Hippogriff, the area’s two rides, offer Gate A access. The VIP Experience includes unlimited Gate A access, so you’ll be able to jump to the priority line after the formal, guided portion of your tour. 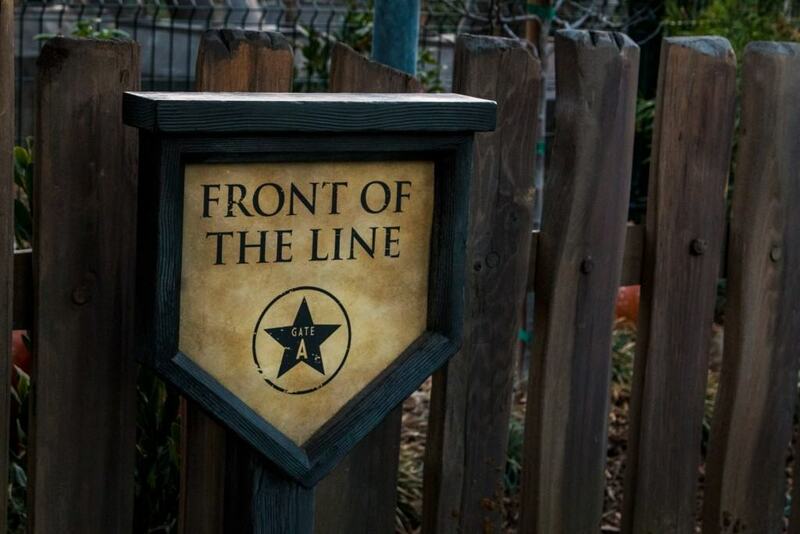 Keep in mind that the Forbidden Journey queue is unique: all guests must wait in the outdoor extended queue before reaching the ride’s lockers, regardless of whether or not you have any bags or loose articles. Once you reach the Castle proper, you’ll be able to use your Gate A access. Be aware that the Ollivander’s Wand Shop experience does not offer a Gate A access lane. 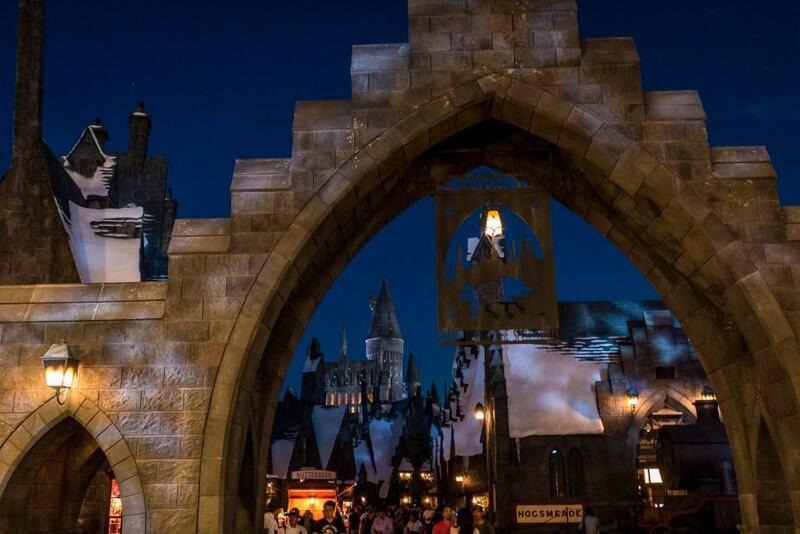 Will my annual pass discount work at The Wizarding World of Harry Potter? This is currently unclear. Several team members have offered us conflicted answers. An annual pass discount was honored at The Three Broomsticks, but not at the Butterbeer Cart. Some team members claim the area will never offer the annual pass discount, while others insist the discount will be offered until the area grand opens. For now, assume the discount is not offered, but feel free to ask anyway. 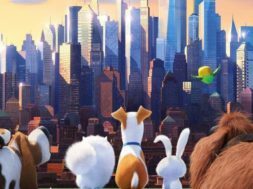 We’ve reached out to Universal for clarification and will report their response. Will my wand purchased at Universal Orlando’s Wizarding World of Harry Potter work in Universal Studios Hollywood’s Wizarding World? Yes! We used our interactive wand on our Hogsmeade’s new spell windows without issue. Additionally, our branch of Ollivander’s will happily replace your Orlando-bought wand should it encounter any issues. The Wizarding World isn’t soft opening. Can I still buy Wizarding World merchandise? Yes! Select Wizarding World of Harry Potter merchandise, including interactive wands, can currently be purchased at the Lower Lot Studio Store (directly across from the escalators) as well as from Feature Presentation near the Entry Plaza. I’d like to check out what the Wizarding World of Harry Potter has to offer in case it does soft open!